Today Warhammer Community have shared details of the Akhelian units – These include the cavalry, monsters and the king! Most interestingly, if you take a Akhelian King as your general you unlock Morrsarr and Ishlaen Guard as battle line units! The Akhelians are the warrior caste of the Idoneth Deepkin, raised from a young age to become masterful warriors. Like the Isharann, the Akhelians are drawn from those among the Idoneth Deepkin born with fully formed souls, and as such, possess the long lifespan of their kin – lives they dedicate towards the absolute mastery of warfare. The Akhelians are strictly meritocratic – lines of succession don’t mean much when most of your children are born as Namarti! The origins of the Akhelian way of war lie in the time after the founding of the Idoneth Deepkin. When Teclis told the Cythai of the aelves of old, he told stories of cavalry from antiquity that rode horses and dragons into battle – the sea monster-mounted warriors of the Akhelians emulate this ideal. Akhelians make up the elite of your Idoneth Deepkin army – your cavalry, monsters and, of course, the Akhelian King all hail from this caste. The Akhelians fight exclusively from mounts, from the Fangmora Eel-riding Ishlaen Guard and Morsarr Guard, to the Akhelian Allopex, to even the massive Akhelian Leviadon. Akhelian units tend to cost more points but hit very hard – every army will want at least a couple of units of them to deal with particularly deadly enemies. 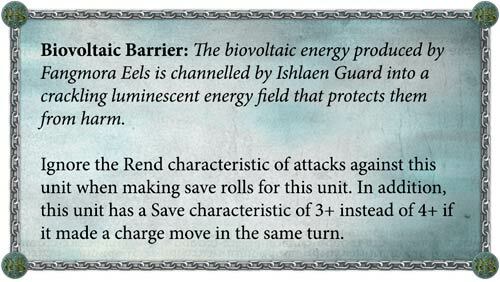 Most Idoneth Deepkin armies will be led by an Akhelian King accompanied by Morsarr and Ishlaen Guard – powerful eel-mounted cavalry with the ability to harness biovoltaic energy – Ishlaen Guard, for example, can channel power to their shields to offer them greater protection. 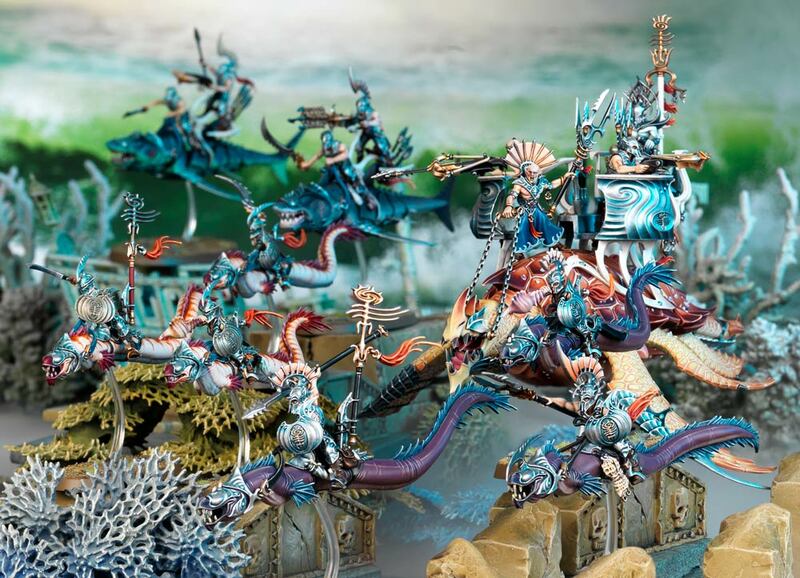 If you’re looking to field a super-elite army of Idoneth Deepkin (or just really love sea monsters), taking an Akhelian King as your general turns Morrsarr and Ishlaen Guard into Battleline units for a unique and powerful force. It all looks very exciting! Battletome is up for order this weekend!